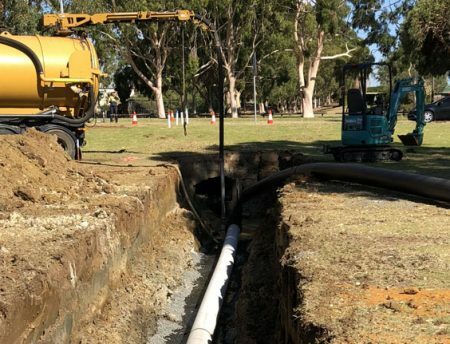 Leeuwin Civil was engaged by the City of Bunbury to install approximately 700m of 315mm poly welded stormwater pipe – to run from Horseshoe Lake under Sandridge Road. 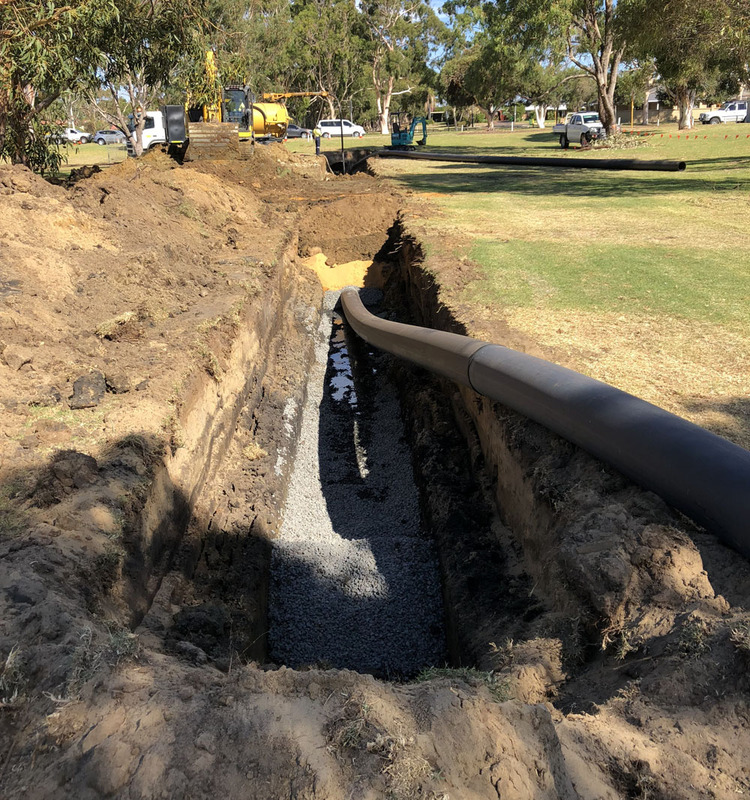 The installation was carried out using a mixture of open excavation and trenchless technology (approximately 100m where the pipeline crossed Sandridge Road) to minimise disruption to the road surface and reduce construction times at Sandridge Road. 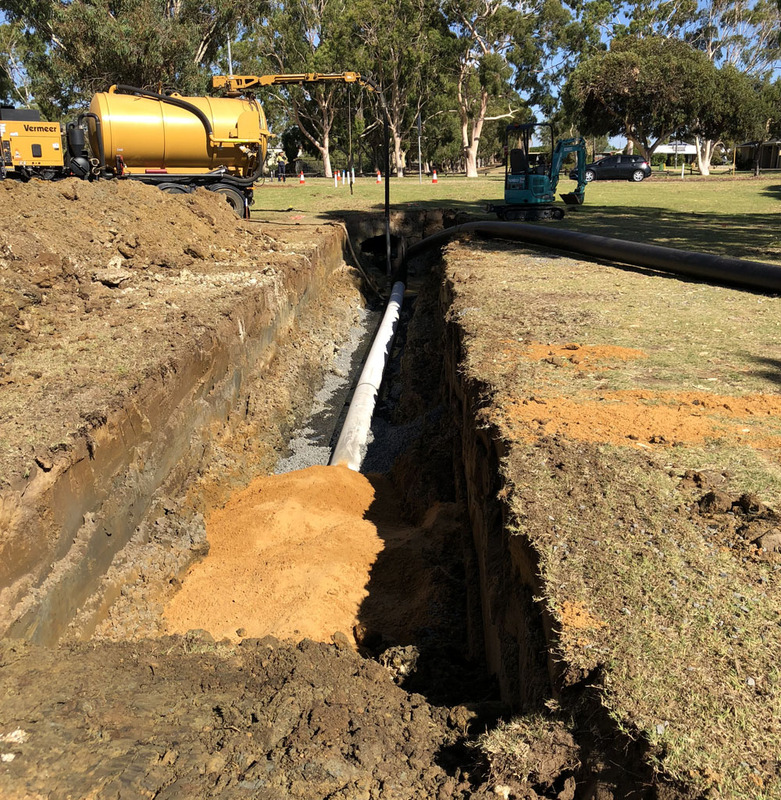 Open excavations were also used to tie-in the stormwater pipe into an existing drain. 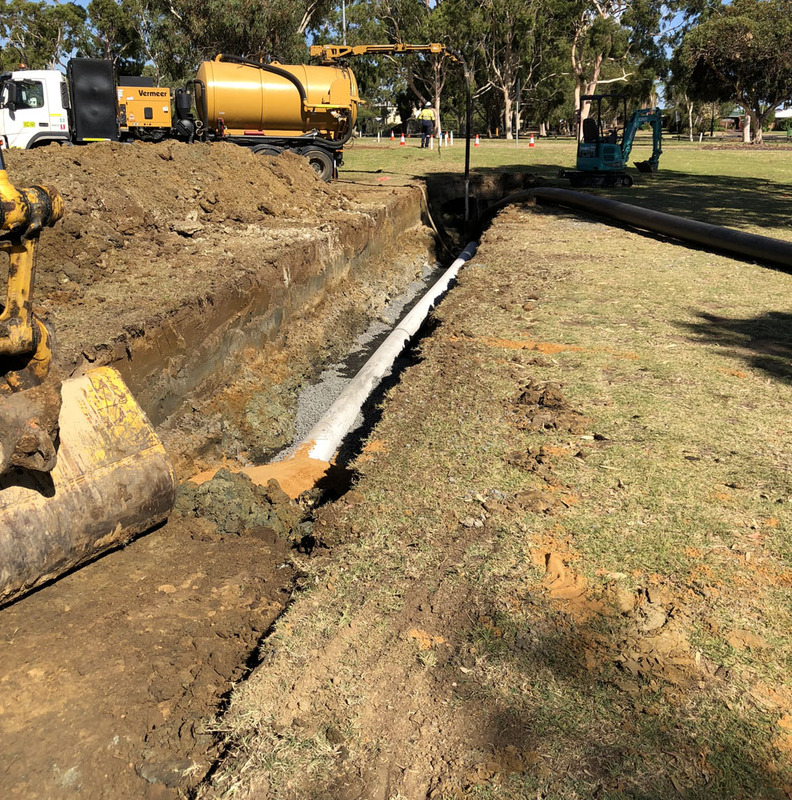 Completion works included all reinstatement works to footpaths, road surfaces, grassland and flower beds. Pressure testing was performed to ensure the integrity of works prior to handover to the client.